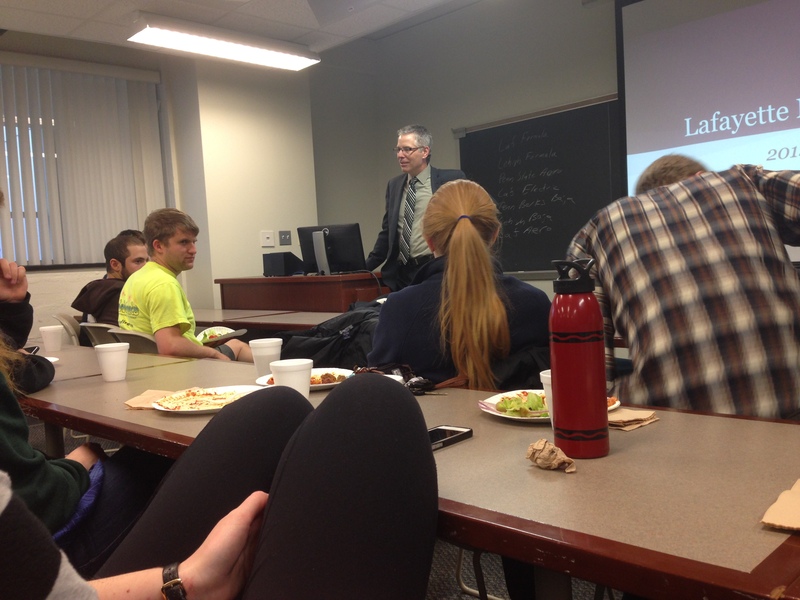 This past week, our formula team went up to Lafayette College to present our plan for our car including our goals, new materials we were using, new methods we were doing, and how these implications would better our car. The presentation wasn’t just for formula cars, but also for other types of cars and planes as well. Penn State, for example, had two teams presenting a plane that they want to build for next year and the other team showed their Baja car that they have been working on. This is Zach, the lead designer for our car’s brakes. 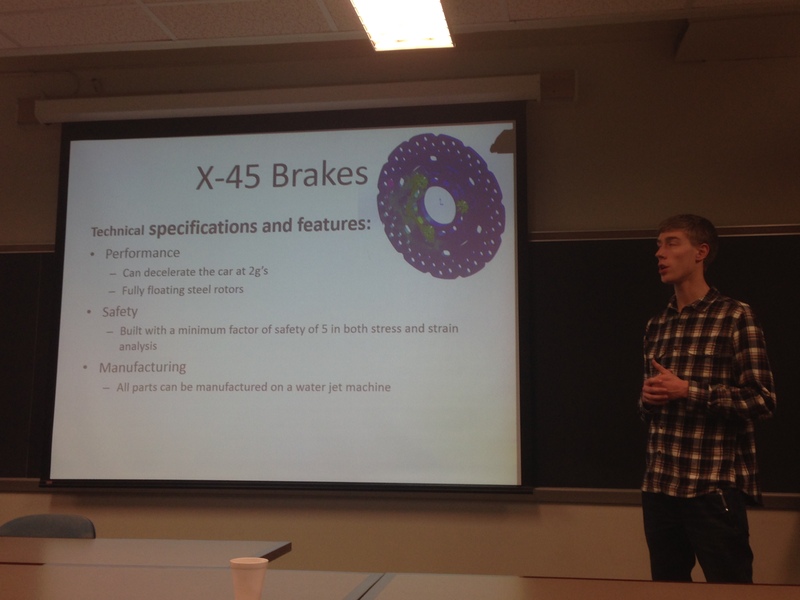 He talked about how he was able to make more efficient brakes using a design method a little bit more different so that there could be no warping on the brakes. He also talked about the factor of safety and the new features that the brakes could perform. Presentation night was new to me so it was pretty interesting to see how each team’s idea for building their car or plane. Our revealing of the car is this Friday and although we are not completely done with the car, we have been on track with most things and will be ready by competition.